Upcoming strips...It won't last much longer anymore, they are almost here. Bad Penguin is back. And he bought his inspiration with him!! 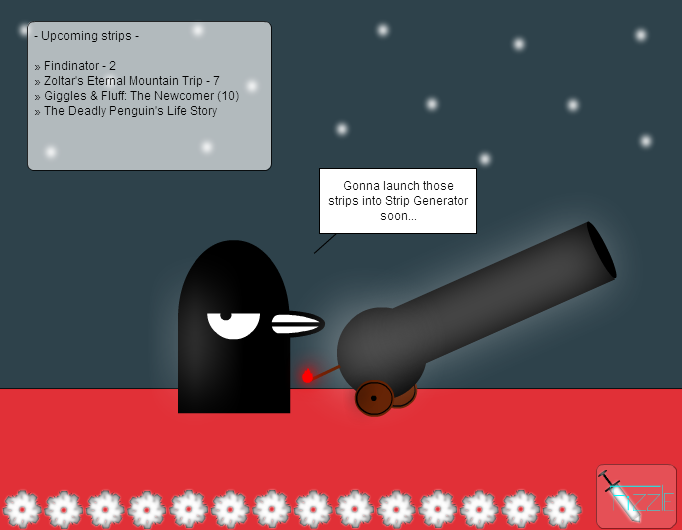 @Ancyd - The Deadly Penguin is my main character, although it's already a character which everyone can use. I only create his shading, which is actually easy. Is the deadly penguin your feature character or something? hope they will have some spread.